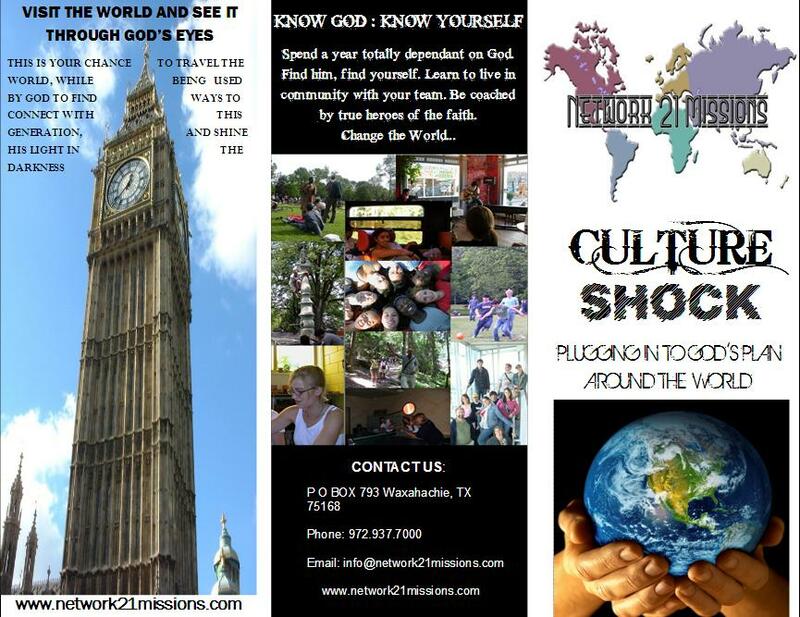 Culture Shock offers three different short-term mission trips around the world. A 3 month, 6 month and a 11 month trip with 1 purpose: to grow in your walk with God while helping ministries and missionaries and looking at the world through His eyes with a team of like-minded individuals. Culture Shock offers two different types of short-term mission trips that travels around the world. We have broken the trips into two different categories: Culture Shock Express and Culture Shock Extreme. Culture Shock Express are trips that range anywhere from 1 week to 3 months for youth and young adults! Depending on the length of your trip, you will either be located and ministering in one specific area or for the longer trips, you can be based in one or two regions of the world and travel out from those bases to the different ministries and/or missionaries in that particular region. Who can go on the Culture Shock Trips? Our age target is a little different for the two different categories. Anyone desiring to travel for one month or longer has to be 18 or older, as for the Express trips, we are targeting individuals 18 or older. Anyone under the age of 18 can go on either trip as long as they have an adult going accompany them. We just want to provide different opprotunities for people who have a desire to see how God is moving around the world first hand, while finding their own place in God's plan. What can we gain from these trips? The trips are also a time of Mentoring. Participants will be part of a team that travels together the entire time, learning the meaning of true community. In each region, the team will help ministries and missionaries with their particular ministry or calling. About every 3 months, the team will have a time of debrief and refocus with their Mentors. God has given us a burden for the "post modern" and "post Christian" people of the large Cities and developed countries of the world. We believe God will help the Culture Shock teams find new ways to reach this generation and challenge the complacency that has been a part of the Church for far too long. 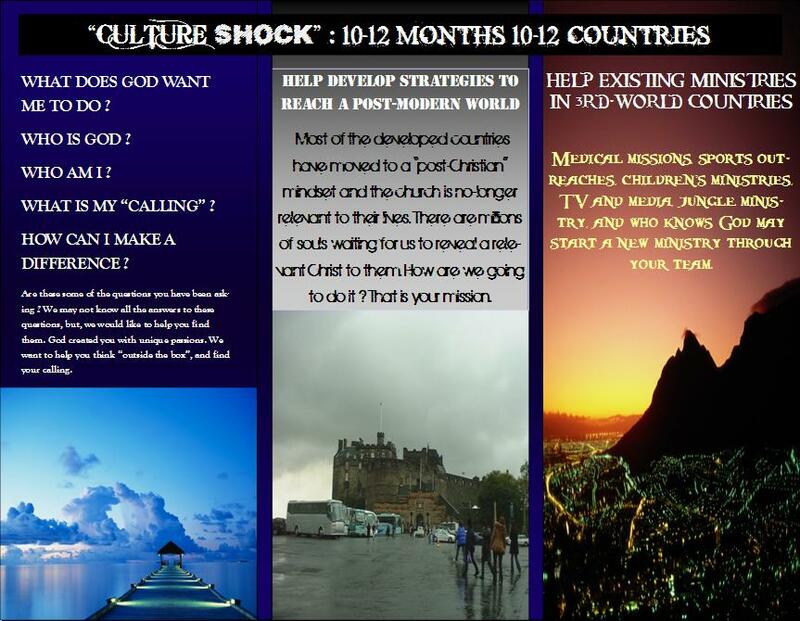 A Culture Shock Trips will change your view of God, the World, and who you are. It will be the beginning of a life-long adventure: fully alive to God's plan for you. Are you ready to say "Here I am Lord send me" ? Check out the Culture Shock Brochure! Click On The Brochure to Enlarge.